While you may think that there is no such thing as a Whole Wheat Naan, I assure you there is. Traditionally the whole wheat bread made in tandoor is called the Tandoori Roti, and is most often an unleavened round flat bread. 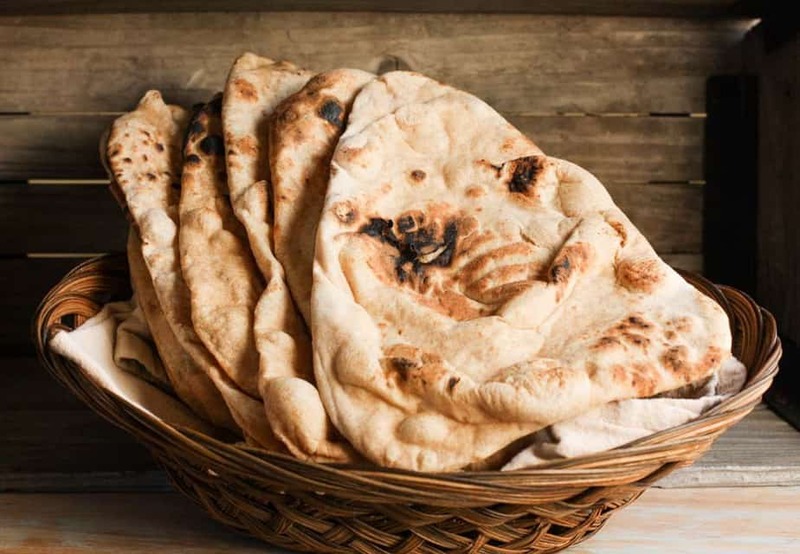 But what if we wanted the yeasty, doughy, spongy qualities of the naan but the wholesome goodness of whole wheat – that’s where the whole wheat naan comes into picture. 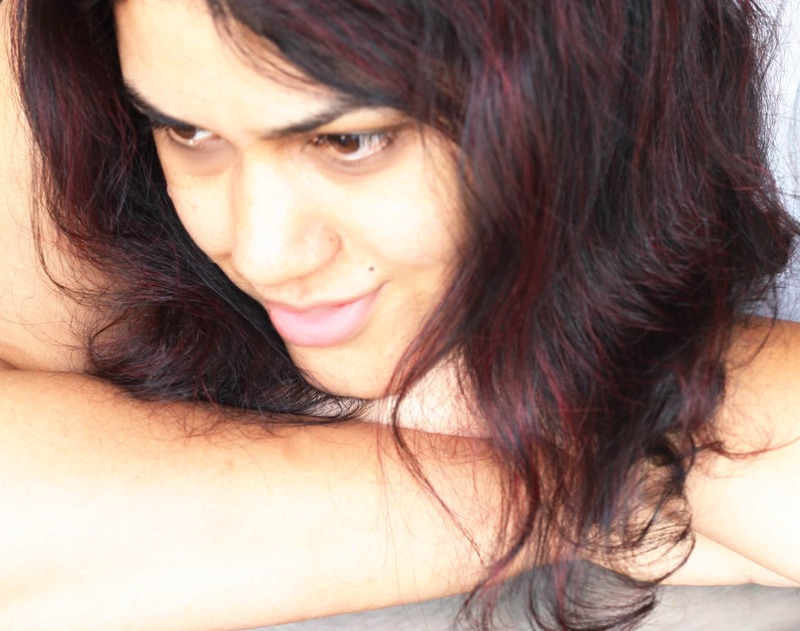 I think it is best of the both worlds – eating good food that is also good for you. 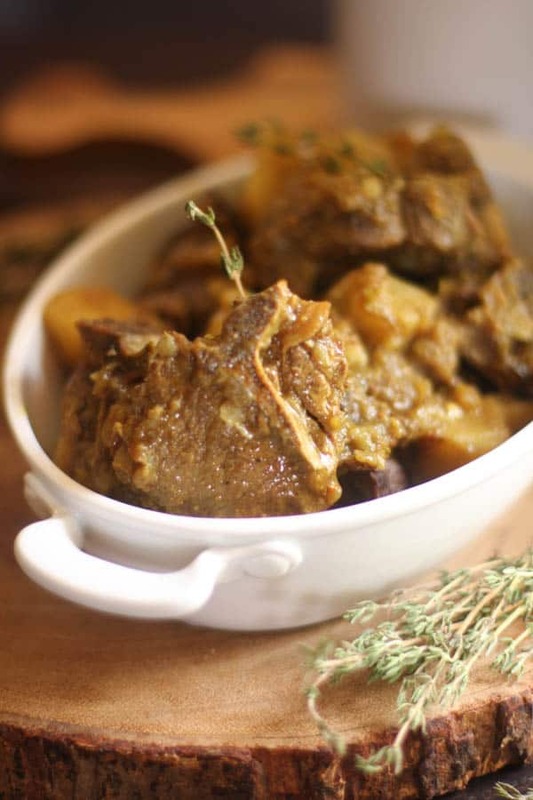 And if that wasn’t enough, the simplicity of the recipe is sure to make you think that cooking from scratch is not such a huge deal after all. 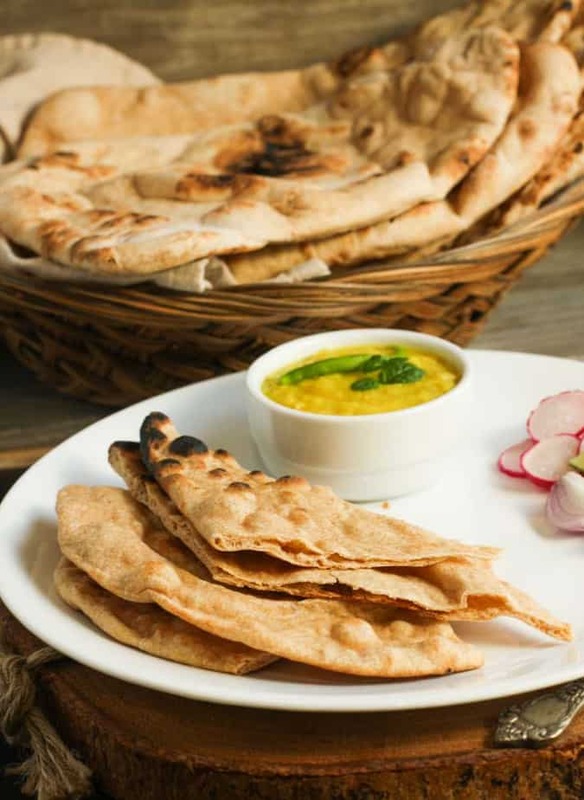 With a little planning, you will be able to churn out a delicious home baked naan in as little as 2- 3 minutes per naan, serve it with a simple dal and salad and dinner is done. Or you could be completely elaborate and make a korma or a masala dish to go with these. For this recipe, I like to use a combination of whole wheat and all purpose flour. The addition of the all purpose flour lends it a chewy feel in the dough. If you however want to make a 100% whole wheat naan, feel free to do so. We take turns hosting each month and choosing the theme/ingredient. If you are a food blogger and would like to join us, just send an email with your blog URL to foodlustpeoplelove@gmail.com. Sift the flour, salt and baking powder into the bowl of a stand mixer. Keep it aside for the time being. Add the yeast to the warm water. Add in the pinch of sugar. Stir to mix. Set aside for 5 minutes or until the yeast has dissolved and the mixture is frothy. Add the milk, the water yeast mix, the yogurt and egg into the flour. Mix with the paddle attachment until everything combines and a somewhat sticky dough is formed. Allow to rest covered for 5 minutes and then knead with the dough hook until it looks a bit shiny. It will still be somewhat sticky, but don't be tempted to add more flour. Cover the bowl with a piece of cling film and set aside in a warm, draught-free place for an hour or until the dough doubles or if using the next day, refrigerate until you need it. Half an hour before you are ready to bake, Pre-heat your oven to 550*F. Place a baking stone/ Pizza stone in the middle of the oven and allow it to heat as well. 1. Punch down the dough and divide into 8 – 10 equal balls. Working with one dough ball at a time, roll out into a tear drop shape. Wide on one side, narrow on the other. Lift up and place it on the pizza stone. Bake for about 2 - 3 minutes. Keep an eye on it after the first 1.5 minutes and take out when the gets a few brown spots. Remove from oven and brush with butter before serving. 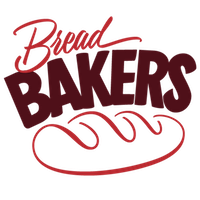 In case you are working with the dough the next day, remove it from the fridge when you start heating the oven and then proceed with the shaping and baking. Pranali, If you do not want to use all purpose flour, you may use all whole wheat. And as for egg, if you substitute that with anything, it should be a binding and leavening agent . Flax seed is a good option. I would like some of this with paneer masala, please! YUM!!! 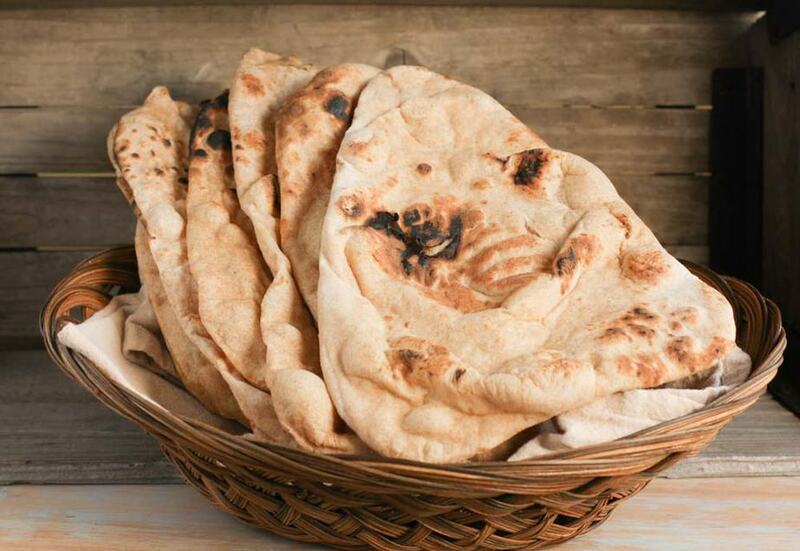 Your wholewheat naans look just perfect — soft & fluffy. Awesome clicks to boot. I was looking forward to this recipe because I almost bought some whole wheat naan last week. Definitely making this. They look amazing! I’ve been wanting to make naan for a looong time. This looks so perfect! I’m so definitely giving your recipe a try. I’m sure it will be perfect! You are so talented! Love naan. Made it for the first time not long ago and was surprised at how easy it actually is. 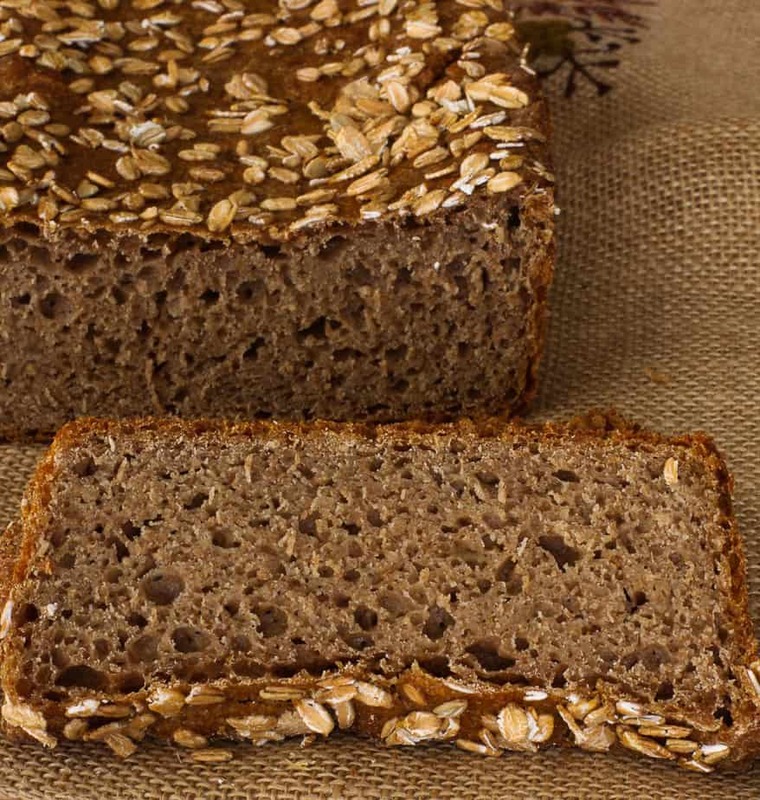 Thanks for sharing this whole grain recipe for it. Yum! I’m interested to see how the flavor changes. 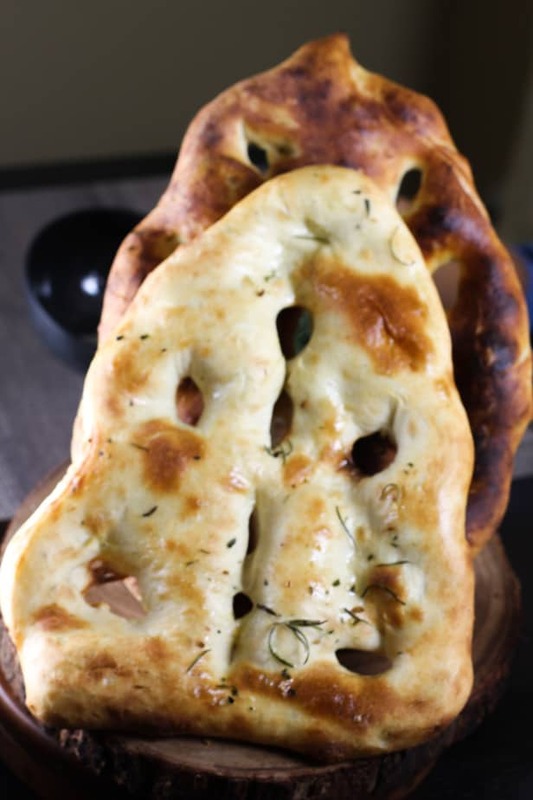 I haven’t made naan before but this makes me want to give it a go! 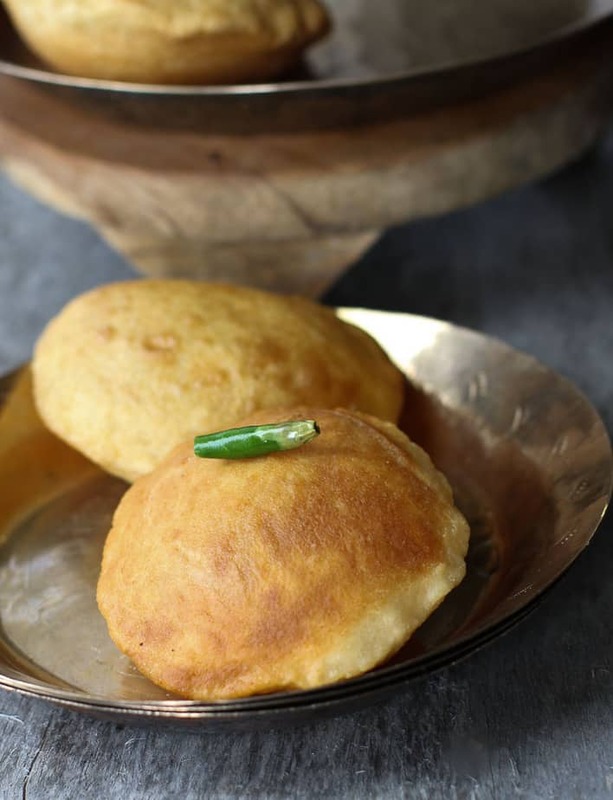 Anshie , My first choice was to make naan for this challenge ……. Happy to see your naan……. Another good reason to take out the pizza stone, Anshie! 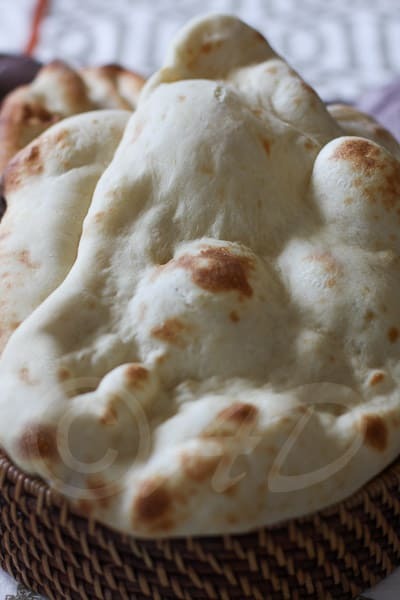 Your naan look fabulous! I enjoy baking on my baking steel. It is just such a great thing. Yes, this is definitely the best of both worlds. I could see this naan as a base for a lot of tasty flatbread pizzas too. I have saved some dough to make a flatbread pizza today, Renee.